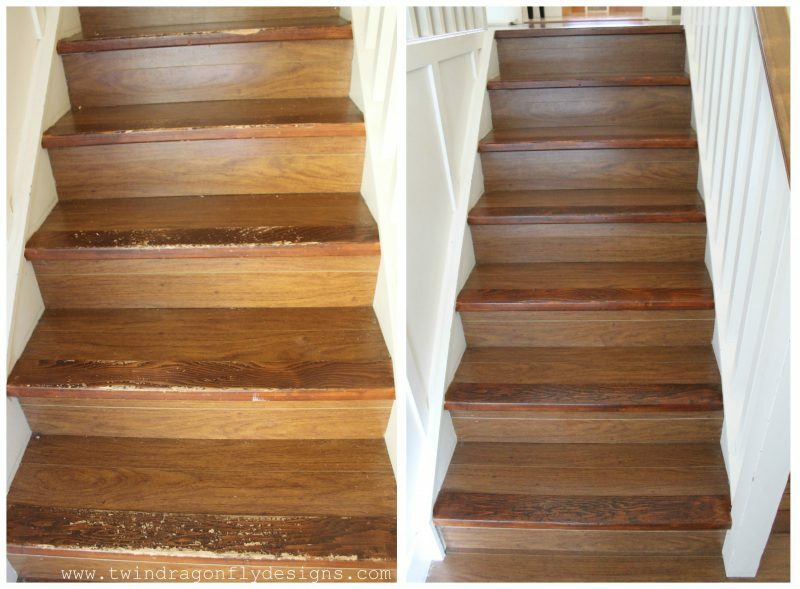 I love a good before and after photo, don’t you? 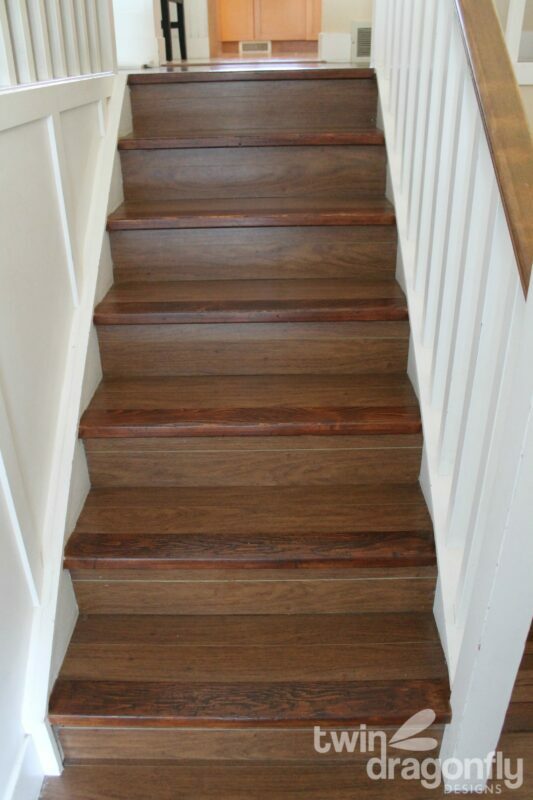 The nose pieces on these laminate stairs are wooden. So they get beat up fairly quickly with kid traffic and moving things to and fro. I mean, would you look at that! 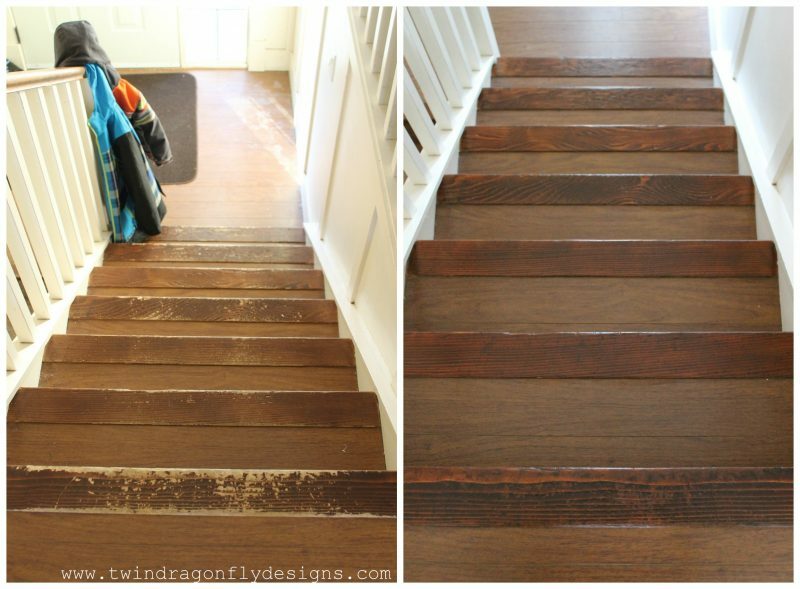 You’d think the kids were playing “wood shop” on these stairs!! And when something looks like this for so long, I just got used to them, you know? I have stained them before to cover the wear but this time I wanted my hard work to last! 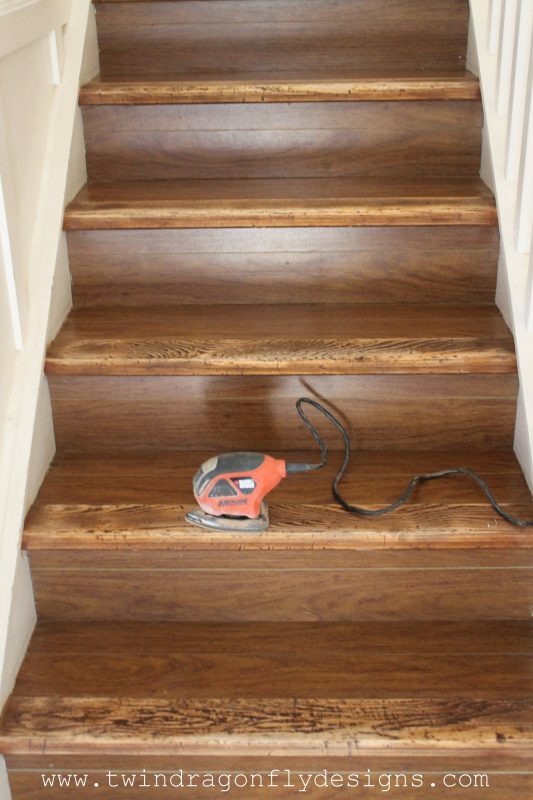 I began by sanding the nose piece on each stair with my hand held sander and 120 grit sanding paper. 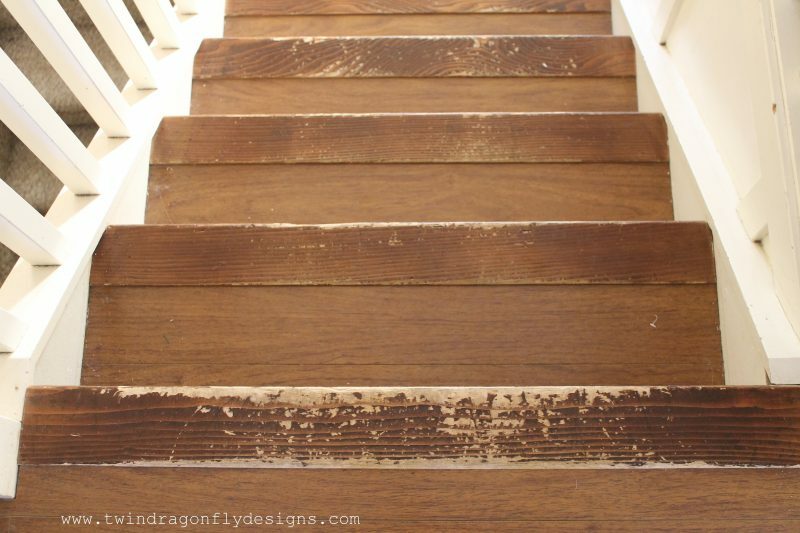 I gradually reduced the sanding paper to 200 grit for a smoother finish. 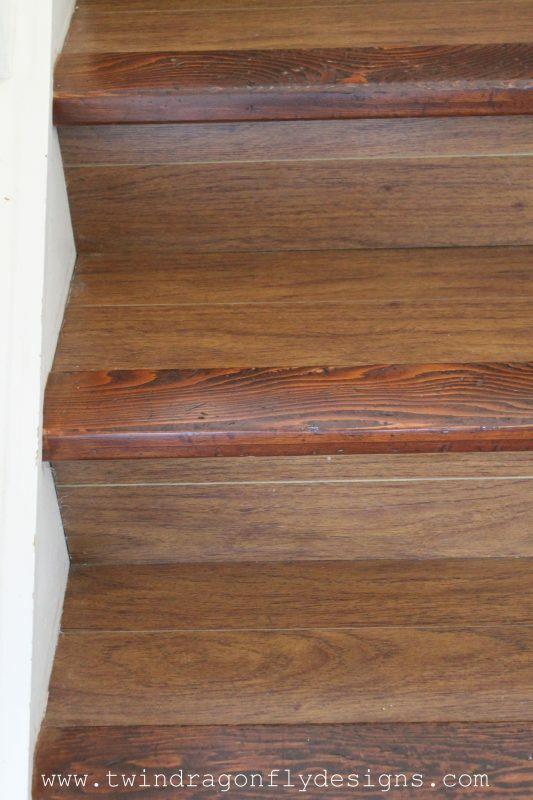 I vacuumed up all of the dust and washed each stair by hand to eliminate any debris. 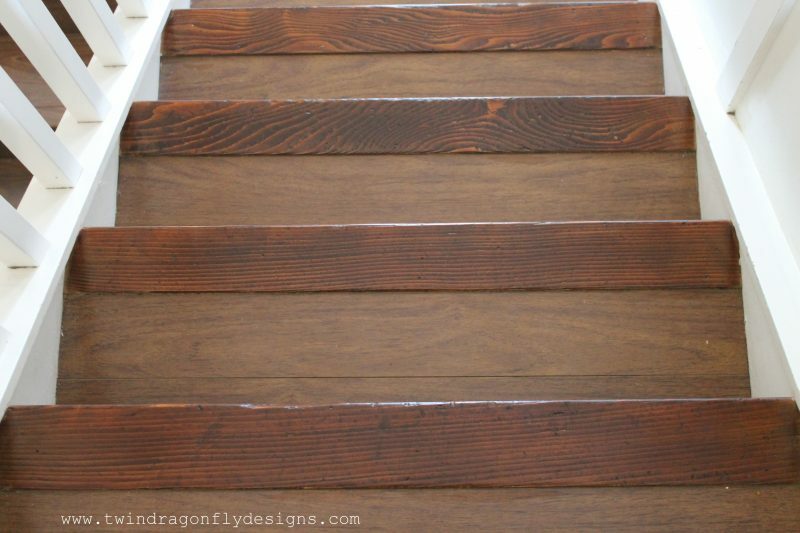 Then I stained each stair with wood stain using a dry, clean cloth with a pair of gloves on. 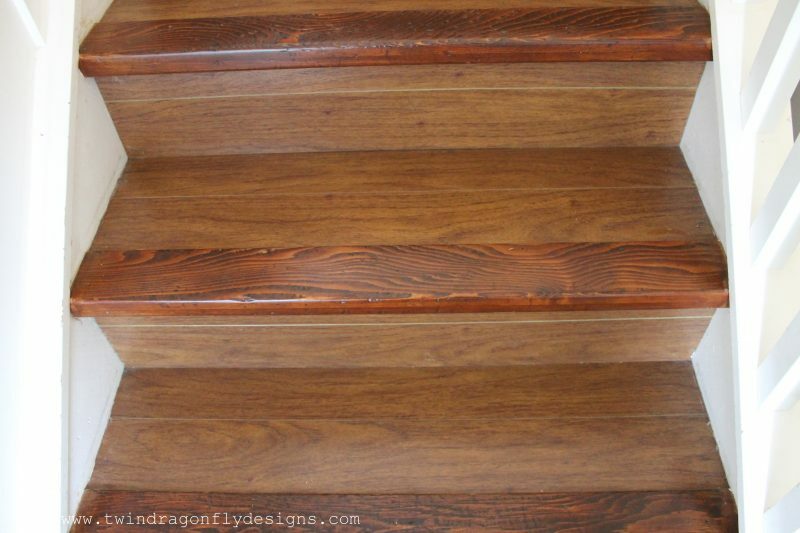 I allowed the stain to dry at least two hours after each application and gave the stairs 2-3 coats of stain. Finally I sealed each step with clear Varathane. I allowed this to completely dry between coats as well and covered each nose piece at least 3 times. I want this application to last!! I am really pleased with how they look now! To think that I hadn’t really noticed how bad these stairs had gotten!! I love that this was a relatively quick and cheap fix too. Another before and after photo for your viewing pleasure. Huge improvement right?! ?